Various US banks added support for money transfers via Zelle over the last few months, but support is far from universal. Zelle is now available to just about anyone in the US with its new mobile app. If you've got a debit card, odds are you can use Zelle to send money. Zelle promises instant transfers between bank accounts, whereas other methods might take several business days. Banks like Wells Fargo, Capital One, and BoA all have support for Zelle built into consumer accounts. However, the Zelle app can connect to accounts that don't have support thanks to an agreement with Visa and MasterCard. Input your debit card info, and you can send and receive money directly between bank accounts in the app. The app has worked fine for me in initial testing, but there are a lot of negative reviews in the Play Store claiming it refuses to create accounts. It's possible something was just broken over the weekend, though. When you get the app set up, it has options to send money, request money, and split a bill with others. It requests access to your contacts for quick access, but you can also send cash to a phone number or email address. It might be a little light on security features for a financial app, though. You can choose to authenticate with a fingerprint before sending money, but I don't see a PIN or password option for devices that don't have the necessary hardware for that. Zelle App Enhances Mobile Banking Experiences: Network expands by offering free Zelle App in App Store and Google Play; allows almost anyone with a Visa or Mastercard debit card issued in conjunction with a U.S. bank account to transact in real-time with participating Zelle Network banks and credit unions. Since June 2017, Zelle Network Banks and Credit Unions have seen up to 300% increases in new customer enrollments. An average of more than 50,000 new consumers enroll with Zelle daily. These consumers join a person-to-person (P2P) payments network already poised to reach more than 86-million consumers through the mobile banking apps of Zelle Network participant banks and credit unions. Currently, Zelle is LIVE in the mobile banking apps of more than 10 banks with new banks and credit unions joining frequently. Enhancing these mobile banking app experiences, next week millions more will have the opportunity to send and receive money with Zelle through a new mobile app, from bank-owned technology company and operator of the Zelle Network, Early Warning Services. The app goes live in the App Store and Google Play on September 12. "Together with our bank and credit union partners we set out to make it easy, fast, and safe for consumers to send and receive money from almost anyone," said Paul Finch, CEO of Early Warning Services. "Our partners are revolutionizing banking, reducing friction from finance, and making it convenient to send money in the moment. The Zelle App is a perfect complement to the network banks and credit unions as it allows their customers to reach millions more with the power of Zelle." Zelle allows money to be sent from one account to another typically within minutes when both parties are enrolled, using simply a recipient's email address or mobile number. Now, through partnerships with Mastercard and Visa, almost anyone with a debit card issued in conjunction with a U.S. bank account can use Zelle through the new Zelle Mobile App. The app complements "Send Money with Zelle" experiences conveniently available within the mobile banking apps of Zelle Network participants – a network that includes banks and credit unions of all sizes. Learn more about Zelle at www.zellepay.com. "Consumers are moving money in the moment with Zelle in a way that's replacing cash with convenient P2P payments," said Lou Anne Alexander, group president, payments, Early Warning Services. "Zelle is designed to be a simple experience that fits into the rhythm and flow of life. 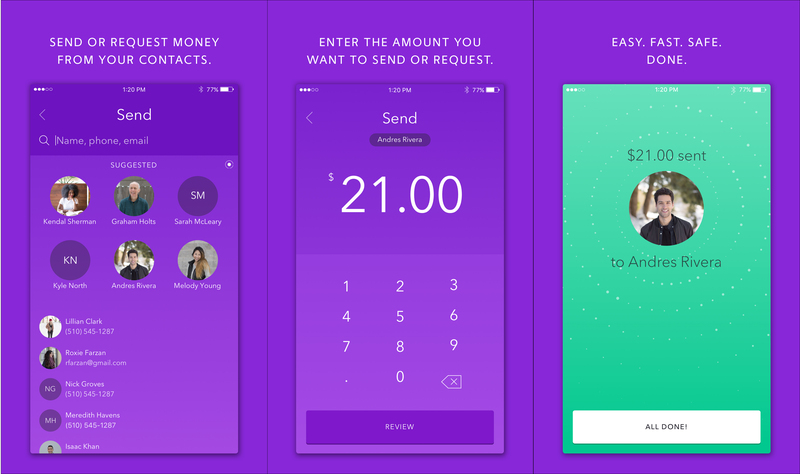 With just a few taps, regardless of where you experience Zelle, you can send and receive money fast – all with the peace-of-mind that your transactions will be backed by the security of your trusted financial institution." "The mobile experience is evolving making the digital exchange of money more appealing to consumers across all generations," said Talie Baker, Senior Analyst with Aite Group's Retail Banking & Payments practice. "P2P is an emerging form of payment and hundreds of millions of consumers will now be able to benefit from a bank-owned network that is providing interoperable mobile P2P payments capabilities. With Zelle, consumers will be able to send and receive payments in real time to nearly any bank account in the U.S. making mobile P2P feel just like cash."